I think my favorite is Jake Patrin, a recovering alcoholic in a book I have written, but have yet to publish. He’s caretaker at a conference/retreat facility in New Mexico, stays alone most of the time, works hard at his sobriety. He lost his family and his life to the drink. He’s working when a retreat-load of patent attorneys comes in for one of those "team-building" weekends, a freak snowstorm falls on the place in March, and a truckload of illegal Mexicans gets stuck in the snow and ends up in the conference center. He steps in to handle the situation in a flawed hero way that really warms my heart. I have a three-quarter time family law practice, where I especially help victims of domestic violence and parents of abused children—kind of a contradiction. I love to cook all sorts of ethnic foods. I grow and can fresh garden vegetables. I make patchwork blankets for my children and grandchildren and crochet sweet baby afghans for anyone who has a baby at the courthouse or in one of my husband’s computer classes. As for all the rest, I dabble a lot—Jill of many trades, as it were. In a story about a victim of domestic violence, the young man the heroine thought loved her beat her viciously. Even though I tried to keep it in perspective, like through the eye of a filmmaker’s camera, it was still very hard. I write a lot of stories about women lawyers, young and old. I think lawyers have a tremendous ability to help people, and when they actually care about their clients and not just the money, they can rise above the average person and do amazing things. I’ve seen it in my own cases and in the cases of my sister attorneys. Every good story needs conflict, and there’s plenty in the legal arena. A good guacamole, a little chunky, plenty of garlic and lime and the right addition of cilantro. Hands down, Sir Sean Connery. Is there anyone else? Barbara Mountjoy has been a published writer for over 35 years, including seven years as a reporter and editor at the South Dade News Leader in Homestead, Florida. Her list of publications includes the non-fiction book 101 Little Instructions for Surviving Your Divorce, published by Impact Publishers in 1999, stories in A Cup of Comfort for Divorced Women, in December 2008, and A Cup of Comfort for Adoptive Parents, in June 2009. 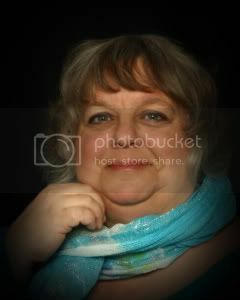 Barbara's urban fantasy series of novels premiered in July 2010 with The Elf Queen; The Elf Child has just been released, and The Elf Mage is expected in 2012. 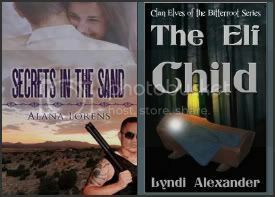 You can learn more about the Clan Elves of the Bitterroot series at http://clanelvesofthebitterroot.com. Her first published romance novel, Secrets in the Sand, will be released by the Wild Rose Press April 20, 2011. She regularly writes tech articles/television reviews at Firefox News (www.firefox.org/news), and blogs on a variety of subjects, including autism, science fiction and life at http://awalkabout.wordpress.com. Barbara has been a Pennwriter about seven years, and is married to an absent-minded computer geek. Between them, they have a dozen computers, seven children, and a full house in northwestern Pennsylvania. Thank you for stopping by, Barbara! Heidi, thanks for providing another delightful interview. Barbara's comments reminded me of something important. We need to write about the topics of which we are most passionate. That is so true, Roger! I always have more fun and write more easily when it's a project I love.